Shead hasn't played since suffering an ACL injury in a divisional playoff loss to the Falcons last season. Seahawks cornerback DeShawn Shead tweeted Saturday he has been cleared to play against the Cowboys on Sunday, meaning the team will add him to the 53-man roster on Saturday. The team made it official later in the day that the had been activated. The team cleared out a spot on the 53-man roster earlier in the week by waiving linebacker Kache Palacio (who was later re-signed to the practice squad). 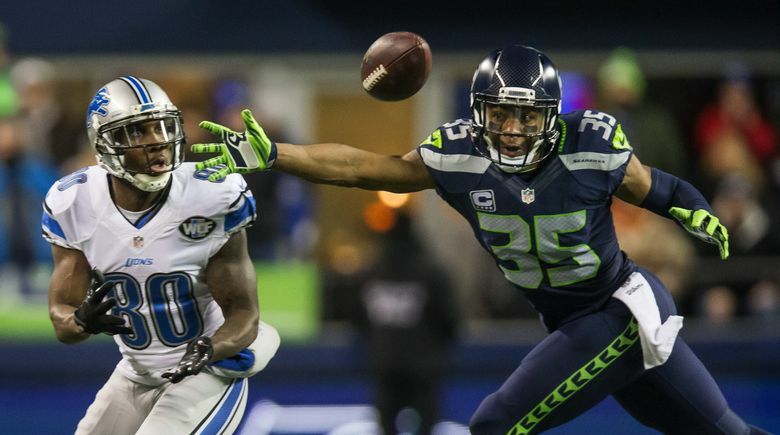 Shead has been with the Seahawks since 2012 but has not played since last January 14 when he suffered an ACL injury during a divisional playoff loss at Atlanta. He as been on the PUP (Physically Unable to Perform) list all season but returned to practice following the win over the Eagles. That meant Seattle had three weeks for Shead to practice and then either be placed on the roster or IR. Shead was able to practice without setbacks all three weeks and so will be added to the roster. Shead started at right cornerback last season opposite Richard Sherman. But he may not immediately return to a starting cornerback role. But he will serve as depth and an option if anyone struggles and figures to play on special teams against the Cowboys on Sunday.